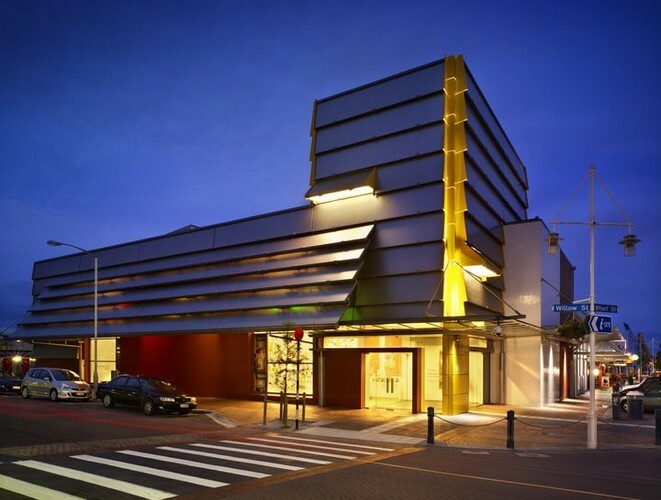 The Tauranga Art Gallery is the first public art gallery in the western Bay of Plenty. Situated on the corner of Wharf and Willow Streets, in the heart of the CBD, the building has been designed to meet modern art gallery standards. The Gallery opened to the public on Saturday 20th October 2007. The Gallery delivers exhibitions of historical, modern and contemporary art. Exhibitions are developed in house by Gallery staff with the balance being a mix of touring exhibitions from other institutions and artist projects. Education is a key focus for Tauranga Art Gallery. A range of education and visitor programmes is developed around the exhibitions to enhance our visitors' experience. Our education staff tailor programmes to make use of the current exhibitions and align them with the national education curriculum. Visitor programmes include debates, floor talks, guided tours, seminars, screenings, performances and artist residencies. Water Drop Offs for Whose Water Are You?